Dr Peter Lam is a nationally and internationally recognised Orthopaedic Foot and Ankle Surgeon. Dr Lam has particular expertise in sports related injuries of the foot and ankle including in the use of arthroscopic (keyhole) surgery. 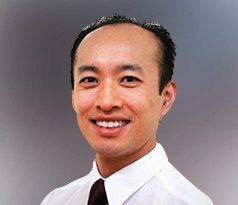 Dr Lam is a leading surgeon in percutaneous/keyhole surgery for the correction of bunions and certain forefoot deformities and arthritis of the big toe metatarsophalangeal joint. He also has particular interest in ligament reconstruction, realignment surgery and treatment of ankle/hindfoot arthritis. Dr Lam graduated from the University of Sydney Medical School with honours and completed his orthopaedic training in Sydney. This was followed by further training studying under the supervision of world renowned Orthopaedic Foot and Ankle Surgeons, Dr Mark Myerson and Dr Lew Schon in Baltimore, MD, USA. For all appointment bookings and enquires with Dr Peter Lam please phone their office on (02) 9884 9499.